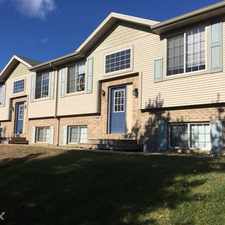 This apartment is in the Western Michigan University-KRPH neighborhood in Kalamazoo. Nearby parks include Knollwood Park, Jones Park and Henderson Park. 1328 Knollwood Ave has a Walk Score of 47 out of 100. This location is a Car-Dependent neighborhood so most errands require a car. 3 story duplex located on Knollwood, conveniently close to campus. You must see it to believe it! Huge beautiful homes! 6 bedrooms, 3 bathrooms. Many features including 2 living rooms, washer & dryer, dishwasher, air conditioning, hardwood floors and ceramic tile, ceiling fans, laundry room, and more! Call AIM today at . Explore how far you can travel by car, bus, bike and foot from 1328 Knollwood Ave.
View all Western Michigan University-KRPH apartments on a map. 1328 Knollwood Ave is in the Western Michigan University-KRPH neighborhood. Western Michigan University-KRPH is the 15th most walkable neighborhood in Kalamazoo with a neighborhood Walk Score of 42.